This beautiful bush is on a friend’s property along Concord Road just northeast of McCormick’s Creek State Park here in Owen County. 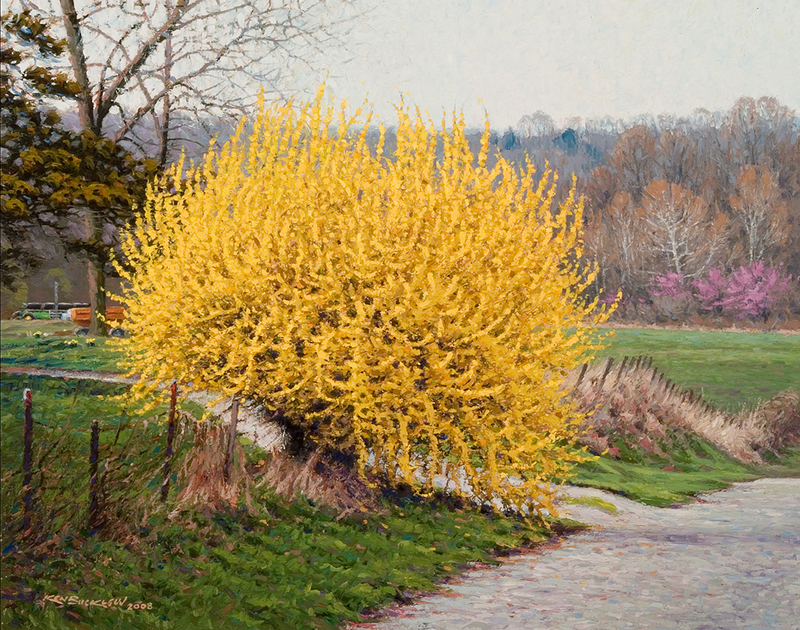 Forsythias have long been a favorite subject of mine in early spring because of their contrast against the lingering gray of the Indiana landscape. Published December 9, 2013 at 1189 × 937 in Artist’s Favorites Gallery.